Following their holiday themed release, Jolly’s Gifts, Next Gen have released Dragon Wins. This pokie is a colourful and cartoony game with loads of cute dragons on screen joining you while you spin the reels. The action takes place in a unique egg shaped reel, which appears to be a dragon’s egg. This egg is creatively split into a 3x4x5x4x3 design that features 40 paylines. Not everyone is a fan of cute dragons but this fun pokie never gets too cute. There are four dragons, a red, yellow, green and purple dragon. Their colours play a significant role during the bonus features, as once activated, all the dragons on the reels will become matched in colour, leaving only the standard gem symbols with differing colours. This is the main way to rack up massive wins during the bonus features. Where this pokie really stands out is with its main bonus feature, the Dragon Wins feature. On the left hand side of the reels you will see the Dragon Wins meter. 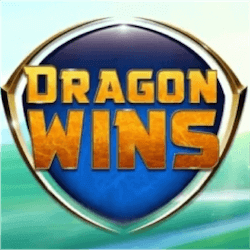 It will fill up each time you land a winning combination formed with one of the four dragon icons. As soon as this meter is filled up you will immediately get 3 Free Spins. During these spins one of 4 features will activate, the Stacked Dragons Feature, the More Dragons Feature, the Dragon Reels Feature and the Expanding Dragons Feature. You will see the different coloured meters arranged around the reels that will determine which feature activates. The colour of the reel symbols you form a combination with will determine which meter fills up first. Stacked Dragons – Triggered by red dragon icons, this feature will turn all other dragon symbols into red dragons. During this feature you will see a bunch of stacked dragon icons appear during the free spins. More Dragons – This feature is triggered by yellow dragon wins, here all the dragon symbols are replaced by yellow dragons and some random standard gem symbols will also become yellow dragons. Dragon Reels – With this feature the Green Dragon symbol become the dominant icon on the reels and reels 2, 3 and 4 become special dragon wild reels for the duration of the special feature. Expanding Dragons – The final feature is triggered by the purple dragon symbol. Random purple dragon symbols will become special expanding symbols resulting in some potentially big winning opportunities.